On August 29, 2011, the HRD Ministry, under then minister Kapil Sibal of the UPA-II government, had submitted an affidavit in court stating that the government “respects the declaration made by NCMEI”. 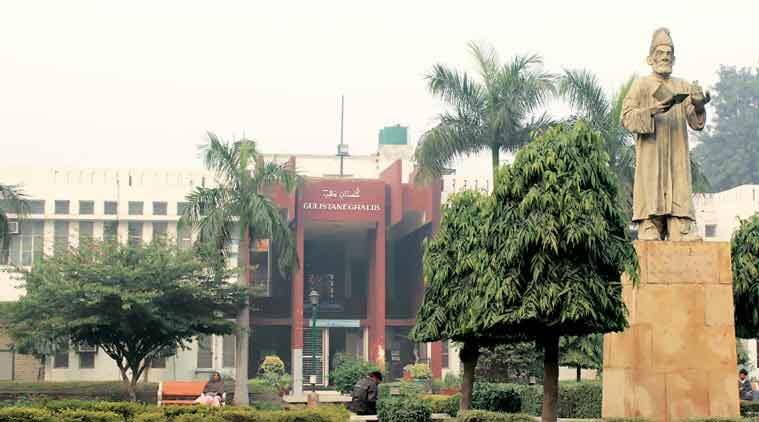 Jamia Millia Islamia in Delhi. Reversing the previous government’s stand, the Centre has filed a revised affidavit in the Delhi High Court this month opposing the order of the National Commission for Minority Educational Institutions (NCMEI) that declared Jamia Millia Islamia (JMI) as a religious minority institution. The fresh affidavit, filed by the BJP-led government on March 5, cites the Supreme Court’s decision in the Azeez Basha Vs Union of India case of 1968 to justify the change in stand. It states that the first affidavit did not take note of the Azeez Basha case, in which the apex court said that a university incorporated under an Act of Parliament cannot claim the status of a minority institution. “In any event, the Board of Jamia Millia Islamia is elected and need not necessarily consist of majority belonging to Muslim religion. The question of it being a minority institution therefore does not arise,” states the new affidavit that was taken on record by the Delhi High Court on March 13. “Treating a central university as a minority education institution is repugnant to law besides undermining its status and is against the basic tenet of a central university… By no stretch of imagination, Article 30(1) could be read to mean that even if an educational institution has been established by a Central Act, still the minority has the right to administer it,” says the affidavit, accessed by The Indian Express. The affidavit concludes that JMI “is not a minority institution, having been set up by an Act of Parliament and funded by central government, and also that it was not set up by a minority sect”. The government’s intention to withdraw its support to the university’s minority status was first reported by The Indian Express on January 15, 2016. The then Attorney General of India, Mukul Rohatgi, had advised the HRD Ministry, under Smriti Irani, that it was entitled to change its view in court and revert to the stand that JMI is not a minority institution, and that to respect the ruling of NCMEI was not in accordance with the law. The HRD Ministry had accepted the A-G’s advice. The shift in the government’s view is in line with the stand of the NDA-II, which retracted its predecessor’s stand on the minority status of Aligarh Muslim University (AMU) before the Supreme Court in January 2016. In 2011, the NCMEI had held that “Jamia was founded by the Muslims for the benefit of Muslims and it never lost its identity as a Muslim minority educational institution”, and was, therefore, “covered under Article 30(1), read with Section 2(g) of the National Commission for Minority Educational Institutions Act”. Article 30(1) of the Constitution gives all religious and linguistic minorities the right to set up and run educational institutions, including schools, colleges and universities. It was in pursuance of the NCMEI order of 2011 that JMI discontinued reservation for SC, ST and OBC students and set aside half its seats in each course for Muslim candidates. Thirty per cent of the total seats in each course were earmarked for Muslim applicants, 10 per cent for Muslim women applicants and another 10 per cent for Muslim Other Backward Classes and Scheduled Tribes as notified under the central government list. When the order was legally challenged through five different writ petitions, the HRD Ministry, under then minister Kapil Sibal of the UPA government, submitted an affidavit in Delhi High Court stating that the government “respects the declaration made by NCMEI”. According to Section 2 (o) of the JMI Act, the Jamia University was established by Muslim nationalist leaders in 1920 at Aligarh in response to Mahatma Gandhi’s call to boycott all educational institutions supported or run by the colonial regime. It eventually shifted to Delhi and was run by a registered society called the Jamia Millia Islamia society. In 1962, JMI became a deemed university. In 1988, it got the status of central university through a central law University Vice-Chancellor Professor Talat Ahmad could not be reached for a comment on Tuesday.